The LANCOM Management Cloud is the world‘s first hyper-integrated management system that intelligently organizes, optimizes and controls your entire network architecture. State-of-the-art software-defined networking technology drastically simplifies the provision of integrated networks – the manual configuration of individual devices has become a thing of the past. 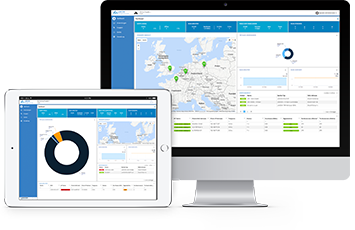 The LANCOM Management Cloud, based on software-defined networking technology, replaces the formerly manual device configuration by automated network orchestration. All the administrator has to do is specify the general framework of the network design. Administrative tasks that previously took hours or days to complete are now taken care of within minutes or a few clicks. All current LANCOM devices, including routers, gateways, switches, and access points, support SDN technology. This lays down the cornerstone for a new dimension of network management with the LANCOM Management Cloud: For all of the components, the configurations are centrally and automatically compiled and rolled out. is all it takes to enable the VPN function and select the required VLANs for each site. The laborious individual configuration of the two tunnel endpoints is simply no longer required. SD-LAN orchestrates the port profiles for each switch and automatically assigns the necessary network configuration, e.g. the required VLANs. 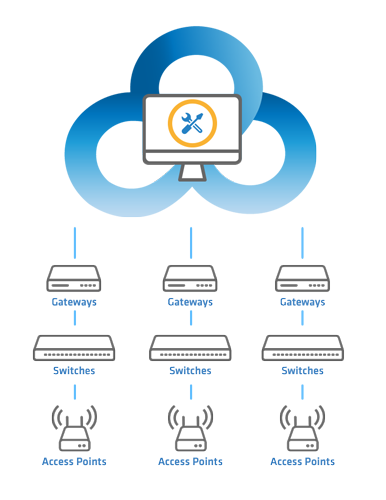 At the click of a mouse, switch configurations that are fully customized for the access points and routers at each site are rolled-out or updated simultaneously. SD-WLAN facilitates the automatic configuration of multiple WLANs (multi-SSID), including for example the separation of hotspot networks. All that needs to be specified here is the SSID authentication method and, if required, the bandwidth restrictions for each WLAN. The WLAN profiles created in this way are rolled out or updated on any number of access points and WLAN routers at the different sites – simply by mouse click.